After the Civil War veterans sought to be prepared for any future wars and formed independent military organizations. One of the last formed in southwestern Indiana was the Evansville Light Guards. This group was organized in June 1876 by Capt. Charles Myeroff, Lieut. August August Leigh, and Lieut. Will Warren as its officers. Many of these were also organizers of the Farragut G.A.R. post. They stayed as a unit until 1883. 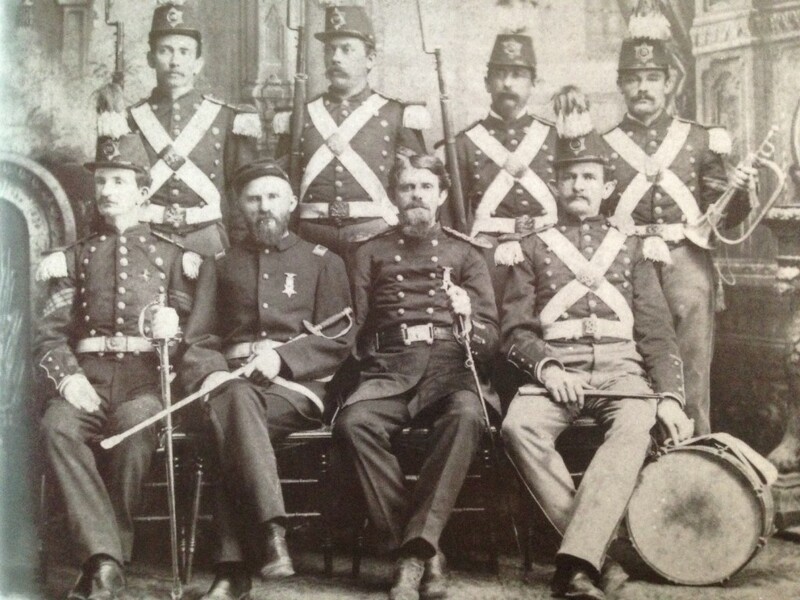 Below is a picture of the Light Guards, including (in no order) Philip C. Halbrook, August Leigh, A.J. McCutchan, Charles Myerhoff, and William Warren. The only man identified is William Warren, sitting in the front row, second from right.